Microsoft helps people and businesses throughout the world realize their full potential. Microsoft makes this simple mission come to life every day through their passion to create technologies and develop products that touch just about every kind of customer. 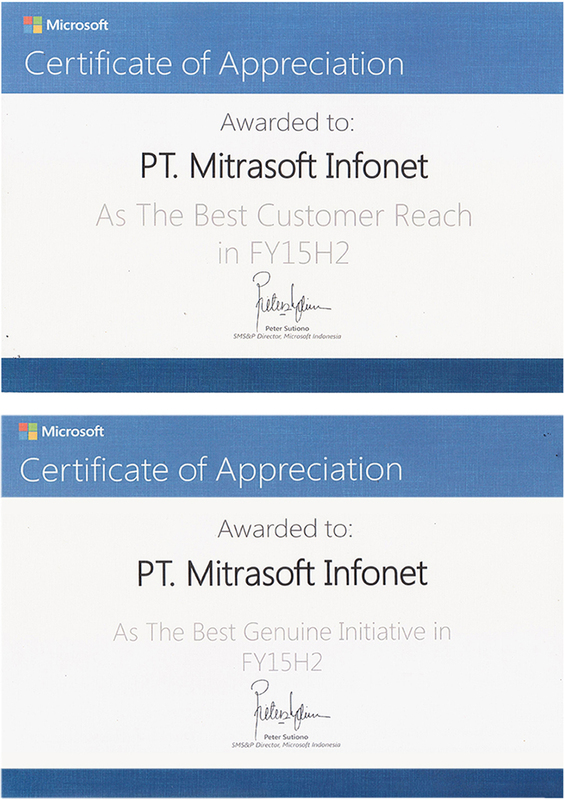 Thank you for your continuous support for our achievement. We look forward to serving you more with our solutions and services.